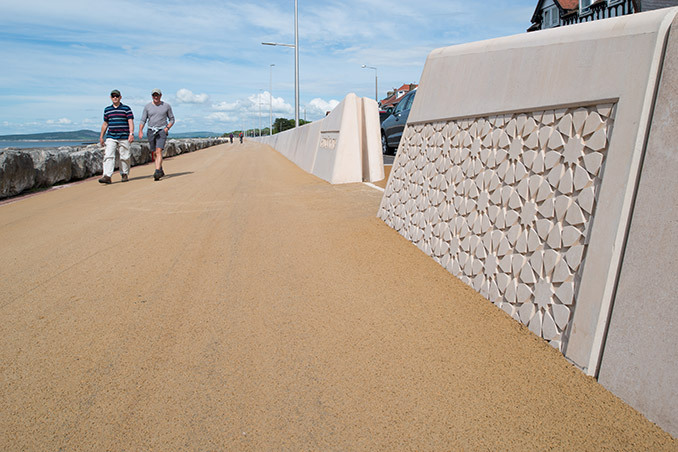 There is unprecedented spending on flood and erosion protection projects around the UK with storm and flood damage creating headline news over the winter months, particularly in the north of England. 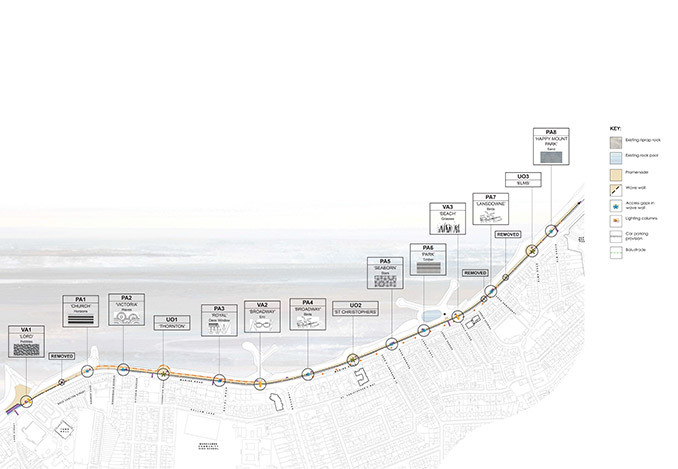 Multi-disciplinary design consultancy Atkins are heavily involved in a number of crucial flood resilience projects, not only to repair the damage but to help prevent future occurrences. 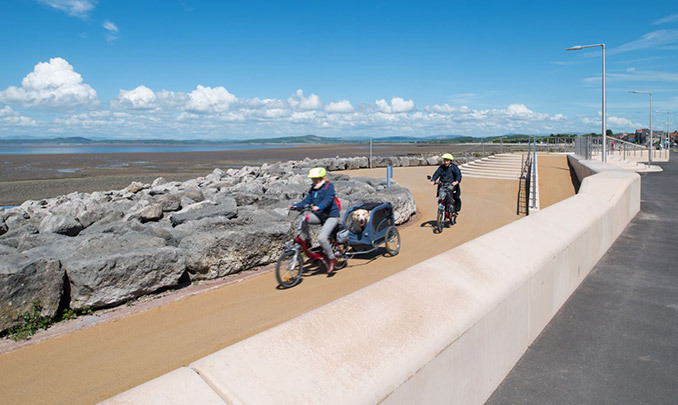 Amongst these projects is Morecambe Promenade where Lancaster City Council via Environment agency funding, appointed Atkins to develop a design to replace a 30-year-old sea wall. 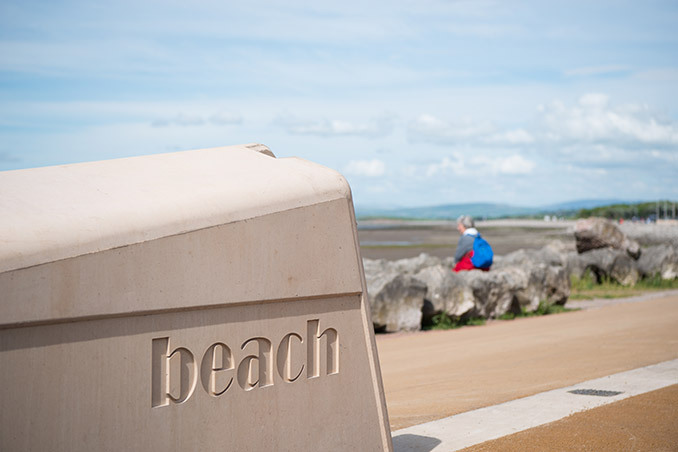 This scheme will be delivered in 3 phases, the first of which has recently been completed, eventually protecting around 13,000 properties in a coastal resort which enjoys spectacular views across the bay towards the Lake District fells. 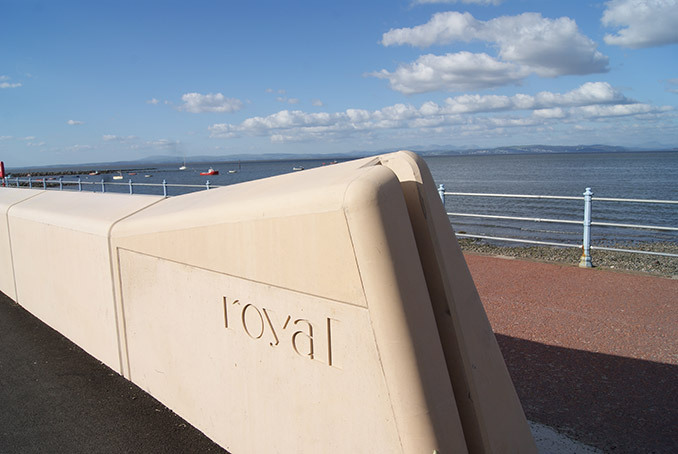 Designed and developed in tandem by a team of Landscape architects and Rivers and coastal engineers, the scheme embraces a new 1m high wall, over 1.8km length with access break-throughs and up and over permanent access points embellished with motifs reflecting local personalities, stories and references to the natural world. 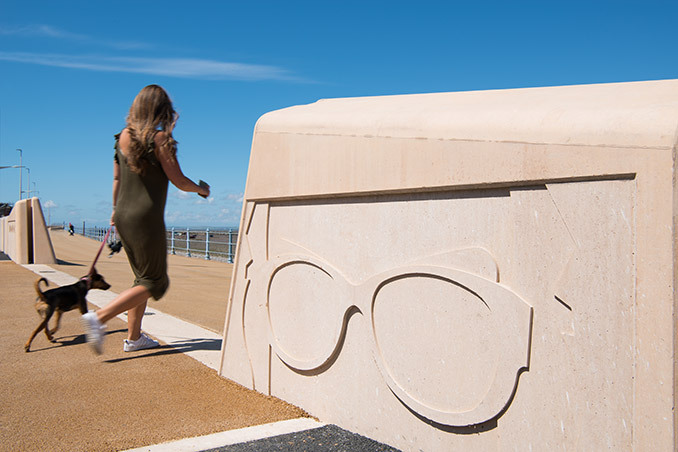 New surfacing, lighting, and furniture have also enhanced the promenade for residents, visitors and all users of this high-profile seafront commission. 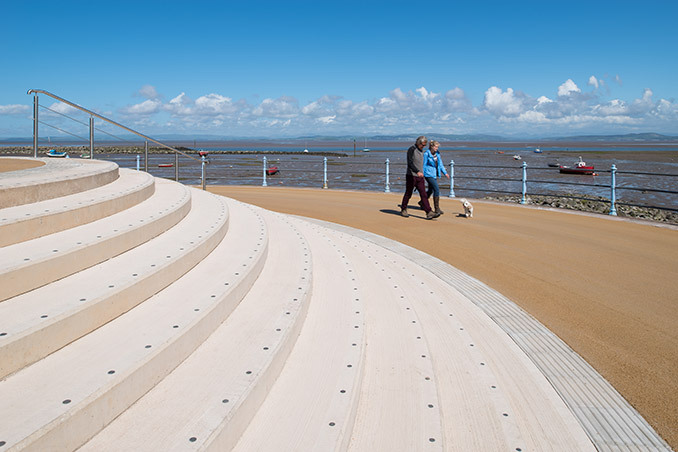 “The wall has been sloped back on the seaward side to help give the impression of a wider promenade space and we have kept the design simple and elegant, achieving a warm ivory colour compared to the normal cold greys that concrete often tends to be associated with. 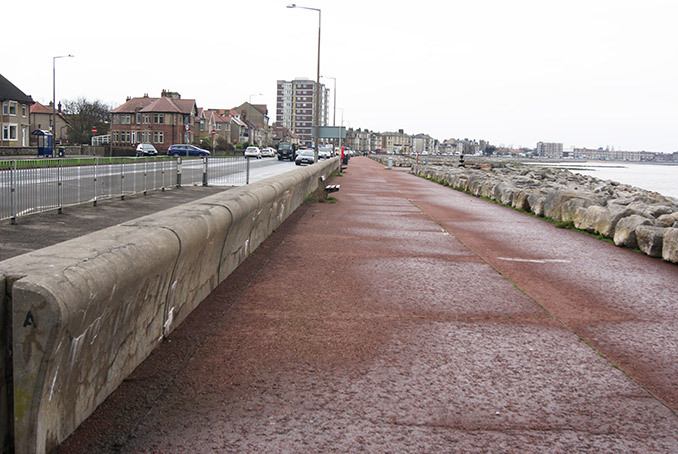 The wall also has a very smooth face which encourages you to run your hands along it, which makes it become personal. 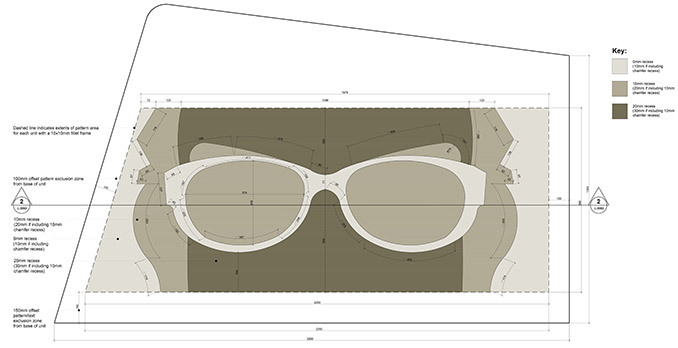 The smooth wall and use of micro fibres also improved the post-cracking ductility, surface cracking abrasion and impact resistance. When we saw the wall go in place, gently curving around the bay, it reminded us of an ossified whalebone that’s been washed up on the shore. These kinds of associations are important as they personify what is, in essence, a concrete structure, making it less liable to abuse. 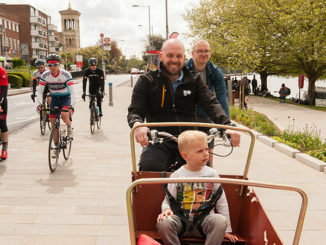 The “up and over” points (permanent access via steps and ramps) were inspired by the nearby 1930`s Art deco styled Midland Hotel and the “Hollywood” curvilinear forms and tread to riser ratios on the steps, which were designed to be both engaging and inviting. 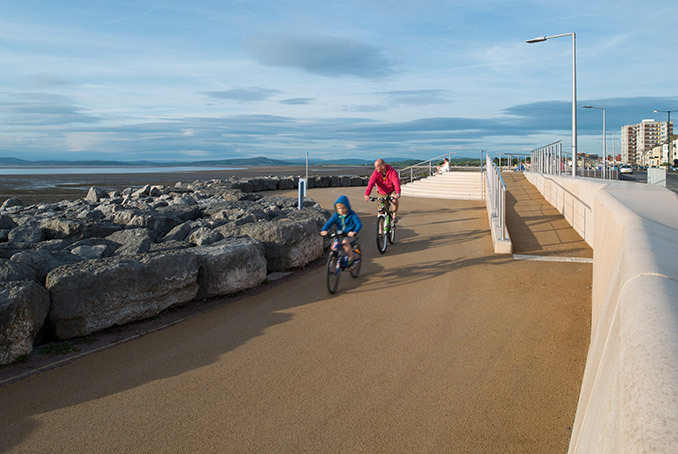 The materials are all bulletproof, asphalt surfacing, marine grade stainless steel and C40 strength fibre impregnated concrete, giving the public the assurance that the design is not only attractive and intriguing but also robust enough to withstand the sometimes-ferocious local conditions. 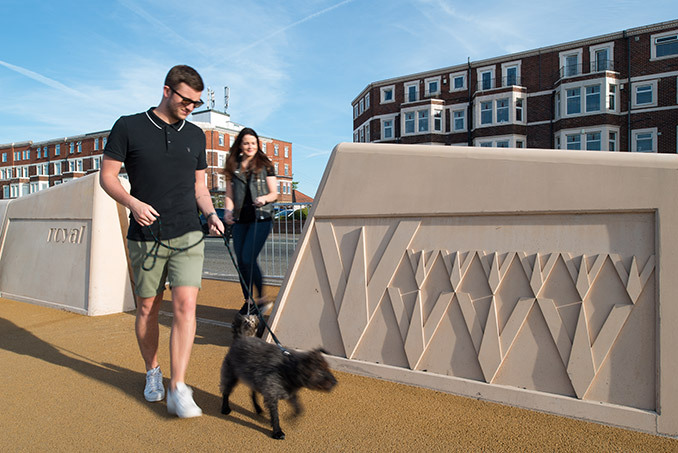 Sustainability was also a key concern and the wall utilises a sustainable cement in the mix, with 50% of it coming from ground granulated blast furnace slag, a by-product of the steel manufacturing process. 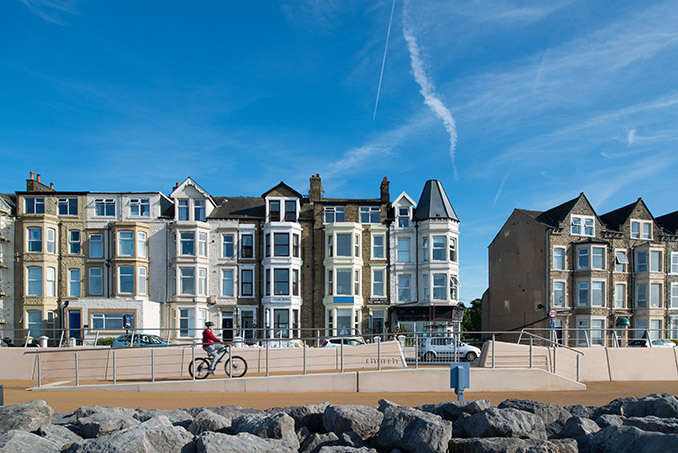 The improvements also seek to increase footfall and promote healthy outdoor activities, along what is already a bustling Prom, which is part of the Lancashire coastal way encouraging more walkers and cyclists. 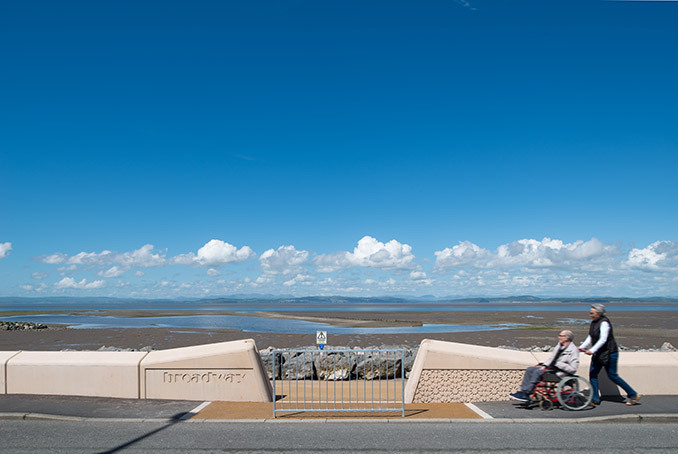 The increasingly elderly population are also attracted to use the Prom with the use of inviting warm colours, smooth surfaces and gentle access slopes to make it fully accessible. 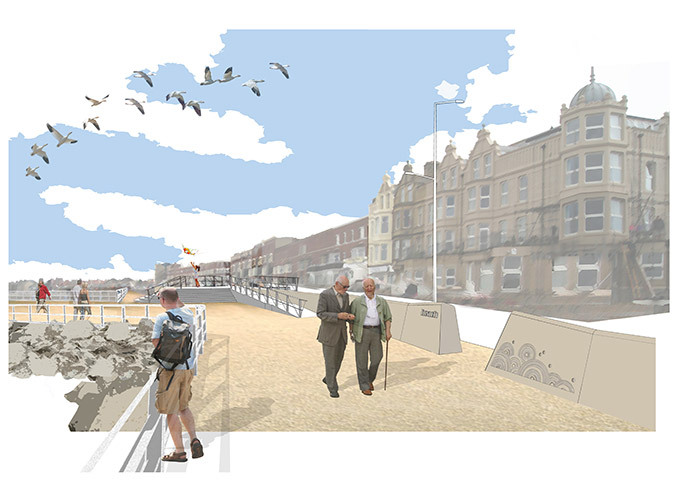 Client | Lancaster City Council with Funding from The Environment Agency. 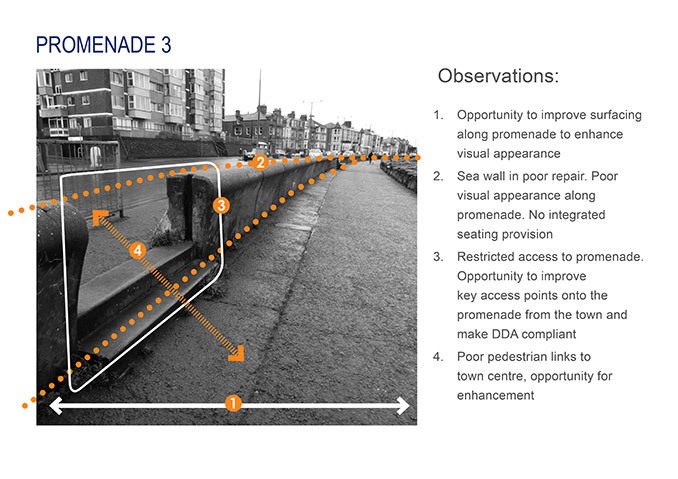 Text Credit | Simon Ward, Associate Landscape Architect, Atkins.